The best things to do away from the track at the 2019 German Grand Prix, including the most interesting nearby attractions. The Mercedes-Benz and Porsche museums in nearby Stuttgart and the incredible Technik Museum Sinsheim top our list! The next race is on 25-28 July, 2019. 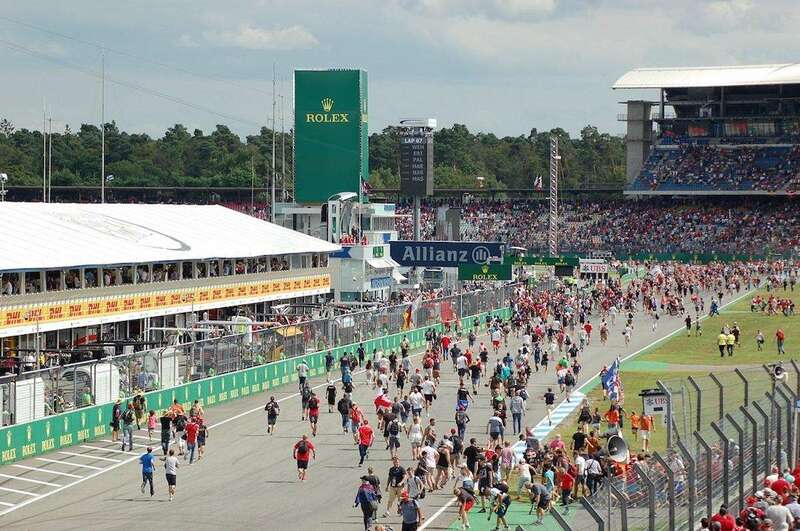 Hockenheim: the pretty town from which the Hockenheimring takes its name is located a short walk from the circuit. Attractions include an historic water tower, the main church and a vast city park called Gartenschaupark. The nearby Autovision Museum is also worth a look. Speyer: 12km from the circuit is another typically pretty Southern German town close to the circuit that’s also home to the Technik Museum Speyer, which is related to the Technik Museum Sinsheim (more below) and also has a cool collection of planes, trains and automobiles! Heidelberg: a great base for Grand Prix weekend, Heidelberg (main picture above) is just 20km from the circuit and has a beautiful old town with many restaurants and bars, plus many interesting sights including the 600-year old ruins of Heidelberg Castle. You can also take a cruise on the river Neckar. Mannheim: 25km from the circuit, Mannheim is another beautiful city that also makes a good base for GP weekend. Visit the beautiful old town or restored 18th century Mannheim Palace. Other towns and cities in the vicinity worth visiting include the home town of Sebastian Vettel, Heppenheim (50km), Karlsruhe (50km), Stuttgart (120km, see below), Frankfurt (100km) and Strasbourg in France (130km). For everybody willing to drive a bit longer (100 km) Stuttgart is worth a trip. Being one of the biggest cities in Germany, Stuttgart is also the birthplace of the car. In 1886 Carl Benz and Gottlieb Daimler both invented the automobile. That’s the reason why Stuttgart offers more car or motorsport related activities than any other city in Germany. You may have already known that the headquarters of Mercedes is located in Stuttgart, but did you know that their Mercedes-Ben Museum is less than 90 minutes drive (116km) from the Hockenheimring? Relive the history of one of the most famous car manufacturers through the 160 models on display, including some F1-cars. Open from 9am-6pm, Tuesdays to Sundays. Entrance costs €10 for adults, €5 discounted. The Porsche headquarters are also located in Stuttgart, and there’s a Porsche Museum less than 10km from the Mercedes-Benz Museum! The Porsche museum also has many cars on display from their history, including classic 911s and more! Visitors can also learn about how classic cars are restored for racing. Opening hours Tuesday to Sunday, 9am-6pm. Admission costs €8 for adults and €4 discounted. For motorsport enthusiasts who can’t get enough there is also the old Solitude racetrack to the west of Stuttgart. Formula 1 races were held on the circuit until the mid 1960’s with legendary drivers such as Graham Hill, Jack Brabham, Jim Clark and John Surtees competing there. The track hasn’t been used competitively since 1965, but most parts of the track remain, including the old race tower and the pit garages. Worth a visit! The Fernsehturm Stuttgart television tower in Stuttgart was the first such tower in the world constructed from reinforced concrete. Located on top of a hill overlooking the city, the 216 meter tower is one of the most popular tourist attractions in Stuttgart. It’s open from 10am-11pm on Monday to Thursday and 9am-11pm on Friday to Sunday. Admission costs €9 for adults, €5 for children aged 6-15 years. For a romantic meal in an amazing setting, you can also eat in the restaurant at the top! Technik Museum Sinsheim is 40 kilometers away from Hockenheim in the town of Sinsheim. This spectacular museum dedicated to the history of technology has over 3000 exhibits across 50,000m2 of indoor and outdoor space. It’s the only museum in the world to have examples of the supersonic jets built by the West (Concorde) and Russia (Tupolev Tu-144). You’ll also find historic sports and F1 cars, trains and ships on display. Open Monday-Friday from 9am-6pm and weekends from 9am-7pm. Admission for adults costs €21, discounted €17. Europa-Park: for adrenaline junkies! If you still have time and want even more of a rush than F1 can offer, the Europapark in Rust (90 minutes away from the circuit) is perfect. 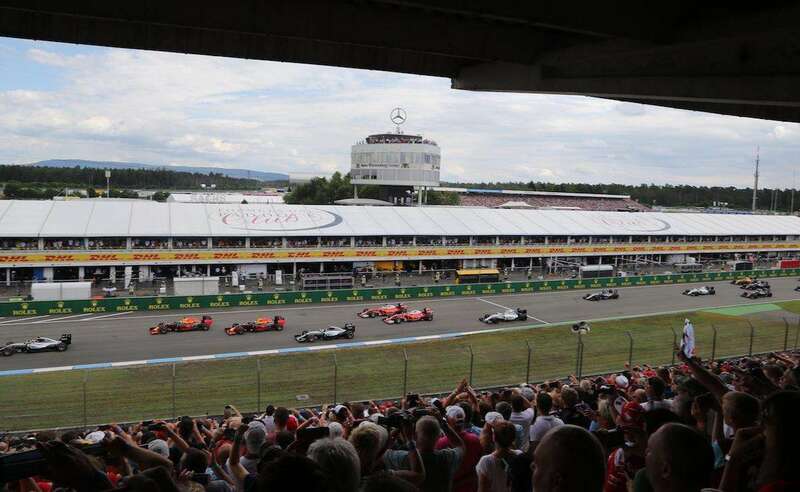 The park was awarded ‘best amusement park in the world’ several times in the last few years and also offer accommodations for the German GP with several excellent hotels. Visit the Black Forest. At over 11,000 square kilometres, there’s plenty to explore in one of Germany’s beauty spots, the Black Forest. Located to the south of Stuttgart, the area has everything you could desire, including vast lakes and incredible forestry. It’s worth keeping in mind as a holiday destination should you want to extend your GP visit to a European summer vacation. Be sure to check out the Hockenheimring museum, which is located within the circuit. You can find out more about it, and the exhibitions on offer there, in our Trackside guide.